Besides organising and hosting the recent CCAMLR bioregionalisation workshop in Brussels in August 2007, Belgium has made several contributions to the ambitious project to divide the Southern Ocean into bioregions for the purpose of eventually creating a representative network of Marine Protected Areas (MPAs). In addition to the marine research being conducted at eight Belgian Universities and two Belgian federal research institutions, one of Belgium's most important contributions to the bioregionalisation process has been developing the SCAR-MarBIN (Scientific Committee on Antarctic Research Marine Biodiversity Information Network), a network of databases that Belgium has been putting together and maintaining since 2005. Dr. Claude de Broyer, a marine biologist formerly of the Royal Belgian Institute of Natural Sciences and specialist in carcinology (study of crustaceans), who also participated in a bioregionalisation workshop in Brussels and conducted research in the Southern Ocean for many years, offered his opinion of the bioregionalisation, the establishment of marine protected areas and the importance of SCAR-MarBIN to the process. 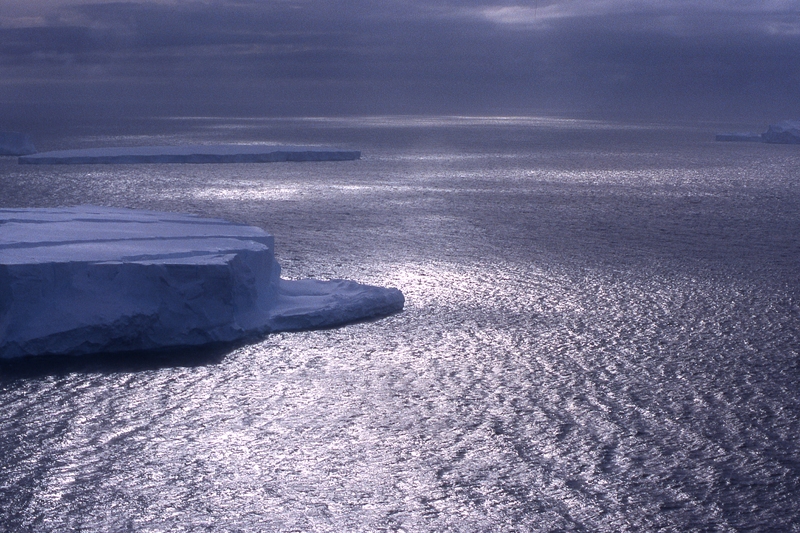 How is SCAR-MarBIN contributing to the bioregionalisation process for the Southern Ocean? SCAR-MarBIN is a worldwide network of databases containing information on Antarctic marine biodiversity. It was initiated by Belgium in 2005 within the framework of the Census of Antarctic Marine Life (CAML) programme and is an International Polar Year core-project supported by the Belgian Federal Government, the Sloan Foundation and the Scientific Committee on Antarctic Research (SCAR). This means that indirectly Belgium contributes all the data it collects from many different databases throughout the world to the bioregionalisation process! In fact the data collected was used extensively during the CCAMLR workshop held in Brussels in August, and they will continue to be used in the further development of the bioregionalisation process. There are two main kinds of data that are provided by SCAR-MarBIN. Firstly, there are the distribution data for the species from all throughout the Southern Ocean. The other important contribution is the species census and the taxonomical classification of all these biota. There is no exact idea of how many marine species exist in the Antarctic. But with the help of many specialists in the world, we are building step-by-step a register of the thousands of Antarctic marine species that have been discovered in the Southern Ocean. One objective of this register is to allow for a better assessment of the marine biodiversity of the Southern Ocean, and another is to provide a sort of reference guide for the species and for the marine biodiversity. Having the correct names of species and references for species is important in the process of biodiversity assessment. This data on marine biodiversity are of course crucial in the bioregionalisation process to define distribution patterns and ultimately to define the marine protected areas. There are some Antarctic projects supported by Belgium dealing with the distribution, or biogeography, of certain particular animal groups in the Antarctic. It's these kinds of biogeographical studies that can contribute a great deal of information that is needed for the bioregionalisation process to take place. For example, the BIANZO (Biodiversity of Antarctic Zoobenthos) project focuses on the biodiversity patterns of selected bottom-living animal groups and their ability to cope with environmental change. This is a joint project run by different universities. During the present phase it is being led by the University of Gent with the involvement of the University of Liège, the Free University of Brussels (ULB) and the Royal Belgian Institute of Natural Sciences. There's also another project that is looking at pelagic biodiversity in particular, more specifically at fish and plankton. This project is being conducted by the University of Liège and the Catholic University of Leuven. They also contribute biodiversity data, which can be useful for the bioregionalisation process. Can you comment on how far along we are in the bioregionalisation process? The CCAMLR bioregionalisation workshop organised in Brussels was the second one to deal with the issue from the scientific side. There was one before it organised in Hobart, Australia in 2006. At the Hobart workshop they tried to determine the methods to be used and to define the type of data required for a broad-scale bioregionalisation of the Southern Ocean, relying mostly on remotely-sensed environmental data. This essentially set up the whole basis for the process. The whole process of bioregionalisation involved defining first broad-scale regions at a circum-Antarctic scale, and then subdividing them into smaller ecological areas, which are homogenous in terms of biodiversity distribution patterns and the ecological processes involved. These bioregions can be used for developing better ecosystem management and monitoring and can also be used to ultimately design marine protected areas which are representative of these bioregions and are thus representative of the Southern Ocean ecosystem and Antarctic marine biodiversity as a whole. The second meeting in Brussels endorsed the outcomes of the Hobart workshop, adopted its primary classification, investigated the bioregionalisation methods in a more detailed fashion, and started to select and analyse new sets of physical and biological data. Relying on satellite data they mostly concentrated on the pelagic zone at the Hobart workshop, i.e. the water column, the part of the ocean in which you find plankton. From this they tried to set up the first broad-scale pelagic bioregions. In Brussels we went a step further. We considered not only the pelagic zone, but also the benthic zone of the Southern Ocean. It appeared that the benthic and pelagic systems should be considered separately, because we don't sufficiently understand the coupling processes between these two systems. So right now we are in the process of developing separate bioregions for the pelagic and for the benthic zones. The bioregionalisation process for the pelagic zone undertaken in Hobart in 2006 provided a preliminary broad-scale bioregion scheme that was checked and improved in Brussels. By analysing additional data sets, we confirmed the preliminary delimitations that had been proposed at the Hobart workshop. So what we ended up being able to do in Brussels was define 14 "primary" and 20 "secondary" pelagic bioregions, which form a good first stage bioregionalisation of the pelagic zone. The primary pelagic bioregions could already be used by CCAMLR and the Committee for Environmental Protection (CEP). However for the benthic zone, we have only just begun the process. We have defined the methods, established a basis for an initial physical classification, yet we need more reliable data sets, and at this stage we have no structure or scheme of bioregions that can be used reliably for the benthic communities. What do you think the annual CCAMLR meeting in Hobart, Australia, from October 22nd until November 2nd might accomplish for the bioregionalisation process? The report of the Brussels workshop will be submitted to the CCAMLR Scientific Committee, and then the committee will decide which steps to take next for it. I don't think in terms of bioregionalisation itself there will be detailed progress made in the October meeting of CCAMLR. But there should be approval of the process, with perhaps some suggestions for new steps or new orientations for continuing the process. I would like to stress in this context that the future role of the SCAR-MarBIN network will be important, because it is continuously developing access to data. And so there will be more and more useful data made available through SCAR MarBIN, which will support the bioregionalisation process and validate the present preliminary schemes. It is vitally important to continue feeding the data and to respond to CCAMLR's data requirements. Claude de Broyer is a marine biologist formerly of the Royal Belgian Institute of Natural Sciences. He specializes in crustaceans that live in the polar regions. Active in hsi profession since the 1960s, he has participated in morethan a dozen expeditions to the polar regions.